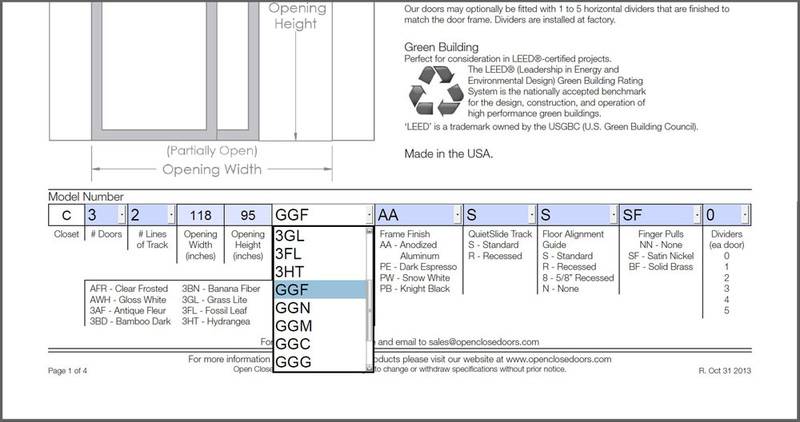 To obtain a formal quote, please send us your Model Number created from your spec sheet (as shown below) and send it to us at sales@openclosedoors.com. Also include your delivery zip code. At this time, we can confirm pricing and estimate S&H and sales tax, if applicable. Quotes usually take 1-2 days.